Performing Pavamana Homa holds high regards. The temple town which is the centre for the Madhwa tradition believes completely on the theory of “Hari Sarvottama, Vayu Jeevottama”, meaning that Hari is the supreme Lord and Vayu / Pavamana is the supreme amongst Jeevas”. Pavamana Homa is a special seva to be availed on pre-booking during Saturdays, Purnima and Ekadashi. Pavamana Homa is done by invoking Lord Hanuman into the Deva Kalasha. 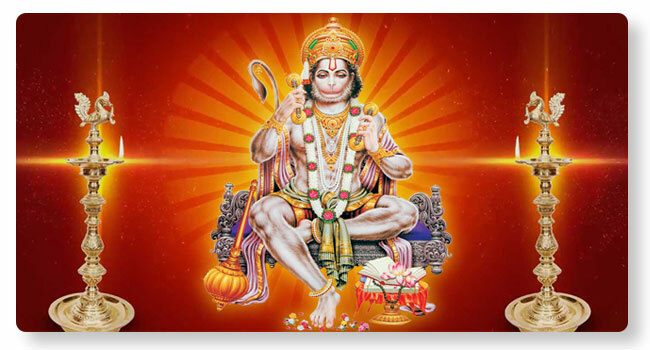 Puja is offered to Lord Hanuman. Sacrifice is offered to the Havya Vahana / Holy fire Pavamana amidst chanting of Pavamana Suktam. Purnahuthi is made to sum the homa procedure up. Destroys the sins committed knowingly or unknowingly. Gives relief from sufferings due to ‘Saade Saati’. For the good health and future bright of the children.